What Makes Storm Damage Different Than Water Damage? SERVPRO was called to a home that had experienced severe flood damage after heavy rains. Storm damage differs from damage caused by other water sources in several significant ways. Water damage tends to result from plumbing issues such pipe breaks. Storm damage tends to be caused by heavy rains, high winds or flooded municipal mains and may result in damage to the interior. Here are a few broad distinctions between storm damage, such as flooding, and other water-related damage. Other forms of damage caused by water tend to be plumbing-related and caused by internal systems. External water may be Category Two or Category Three depending on the source, whereas water from a supply line break is clean, treated Category One water. Flood water is considered highly contaminated Category Three water. Flood damage may affect a crawlspace, basement or ground level of a residence and increase the risk of mold growth and structural damage. Water from a roof leak may be slightly less contaminated, but can still cause irreparable damage to porous building materials such as drywall or insulation. Any type of damage that involves water will increase the risk of certain types of secondary damage. Mold growth is the most common consequence of water or storm damage. Mitigation and restoration professionals can quickly eliminate primary damage and minimize secondary damage. These are a few major distinctions between storm and water damage. Another important factor to consider is that flooding is usually excluded from standard homeowners policies, whereas many other types of water and storm-related damage are covered perils. If you are concerned that exposure to flood water will cause damage at a residence in Issaquah, WA, you should obtain a flood insurance policy through the National Flood Insurance Program or a private insurer. SERVPRO of Issaquah/North Bend is the premier choice when it comes to cleaning up after a storm in North Bend Washington. Our team is quick to respond and begin the mitigation process. It is critical that if you have damage to your home or business that you get the professionals at SERVPRO of Issaquah/North Bend on site immediately to start extracting the water. The longer the water sits, the higher the chance of secondary damage. 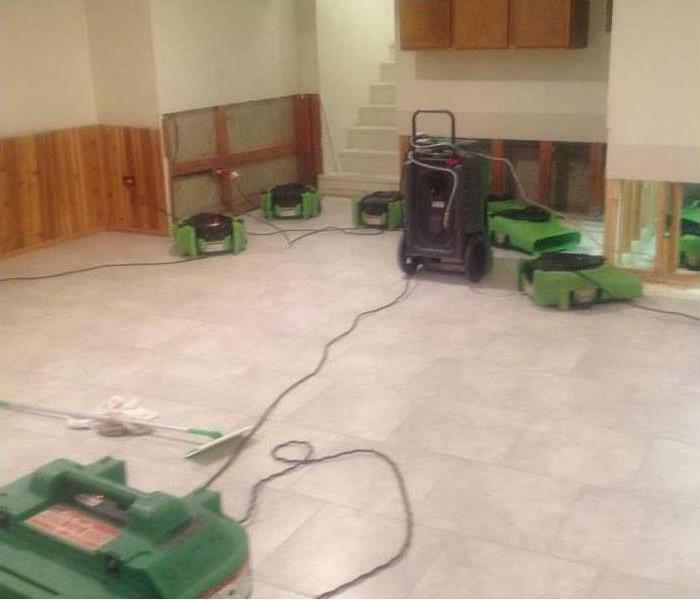 Once all of the water is removed, SERVPRO of Issaquah/North Bend will place drying equipment throughout the entire property. This will help speed up the drying process. Each day a member of SERVPRO of Issaquah/North Bend will be on site to monitor the drying process. From start to finish, our team is here to make sure that the drying takes place quickly and efficiently. Our team is sure to take plenty of photos and notes during the restoration process. These can be important if you need them for your insurance company or personal records. If you have any questions, do not hesitate to reach out to us at anytime. We are always here to help. Here at SERVPRO of Issaquah/North Bend, we take pride in serving our community, that includes small businesses. We know small businesses can take a hit when they have to be closed for days on end for restoration purposes. Storm damage can come as a shock to most people. After storm damage, your home can be left with structural damage due to fallen trees and water damage due to wind driven rain and flooding. Here at SERVPRO of Issaquah/North Bend, we know time is of the essence when it comes to water damage. Our team of licensed water damage restoration professionals are equipped with the skill and tools needed to restore your home back to normal. Flooding doesn't wait for regular business hours, and neither do we. We have a team on standby 24/7 to assist with water damage emergencies. We are also available 365 days a year including weekends and holidays. For more information on our storm damage services, click here. Keep us in mind after a storm hits. 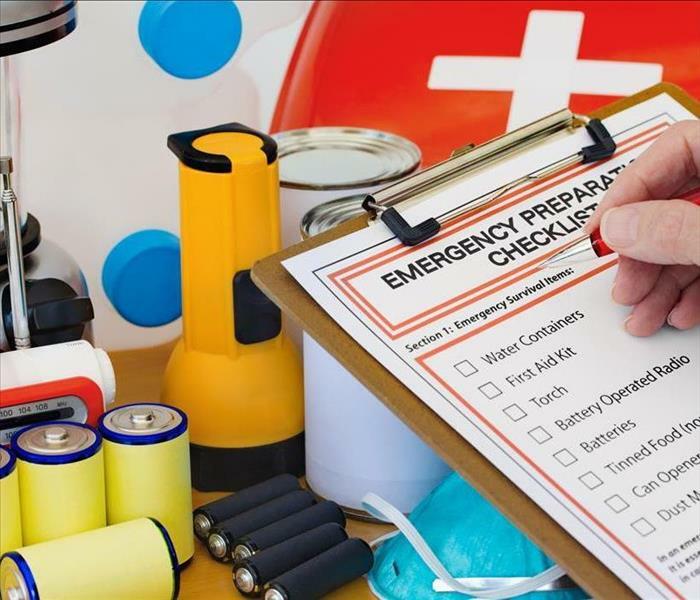 Do you have a personal disaster kit? You may have a 72-hour kit for your home ready for a disaster. But what if the disaster happens when you are at work? Having a small survival kit to get you home is a vital part of preparation. You can keep the bag in your car, in your office, or in a locker. Sturdy Shoes – If you go to work in dress shoes you will want to have these if you need to walk back home. Set of clothes – Again, you don’t want to start out on a trek in a suit or skirt. Food and Water – Take enough to get you home. Simple dried foods and a bottle with a filter as you come across water. Comfortable Pack – A sturdy, but comfortable pack, that can hold your stuff and get you home. There are many ways to build a work preparedness kit. Find one that works for you to be prepared. Now that spring is in the air, there are some outdoor cleaning to take into consideration to avoid any fires when you start bringing out the grill. Cleanup any dead and decaying leaves left over from Fall. The leaves can catch on fire quickly potentially igniting your house. Place your grill at least five feet away from you home when cooking. Many grill fires start because they are placed under the eaves of the home. Clean out grease every time you grill. The buildup will eventually spill over and start on fire. It also leaves an unsightly mess on your patio or deck. Stay present while cooking. 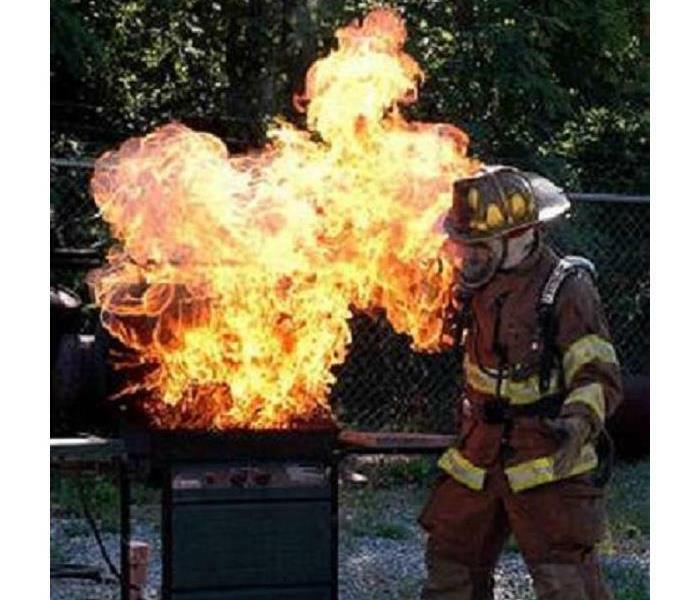 Leaving the grill to eat, serve, or surf the web will burn your food and possibly burn your house down. When is the best time to call a restoration company? We understand that your maintenance crews have a lot of training and knowledge about how to have it clean. They do a great job day in and day out, and in most cases can take care of small water damage problems. They might even be able to take care of some larger problems as well. If they can do so much, why should I call a Commercial Restoration Company? When your company needs to be back in business quickly is when you should give SERVPRO of Issaquah / North Bend. Large water losses need to be extracted and dried quickly to avoid any secondary damage. Although your maintenance team can clean up the water, if they can’t get to it quickly enough, you may be looking at a mold remediation down the road. Cooking fires are some of the most common fires that need cleanup from a restoration company. Today the distractions are more prevalent than even 10 years ago. These extra distractions are causing more kitchen fires today than ever before. 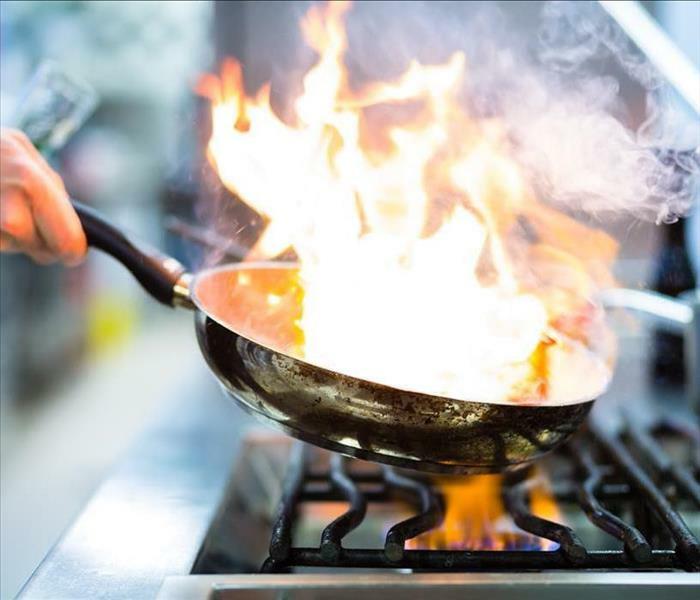 One of the leading causes of a kitchen fire is heating up oil. We all need comfort food now and again, so we add oil to a pan and start heating it up to frying temperatures. At this time the food needing to fry is about done and now you’re waiting for the oil to heat up. Now is when the distraction happens. Instead of waiting patiently the homeowner turns on the TV or opens their phone to scroll through their social media. In a matter of minutes, the oil has reached a flash point and started a fire. Avoid having a kitchen fire by being prepared, setting a timer, or staying away from distracting media. And if you do start a fire, call SERVPRO of Issaquah / North Bend. What Causes Fire Sprinklers To Malfunction? It is important to monitor the condition of pipes in a fire sprinkler system. A malfunctioning fire sprinkler system may activate when there is no sign of a fire. Accidental activations are typically due to mechanical issues, temperature extremes or plumbing issues. An incident such as a supply line burst can result in flooding at a commercial building in North Bend,WA. Find out more about common reasons why fire sprinklers malfunction and cause water damage. A leak may cause sprinkler heads or pipe systems to corrode. It is also possible for pies or other components to wear out over time. 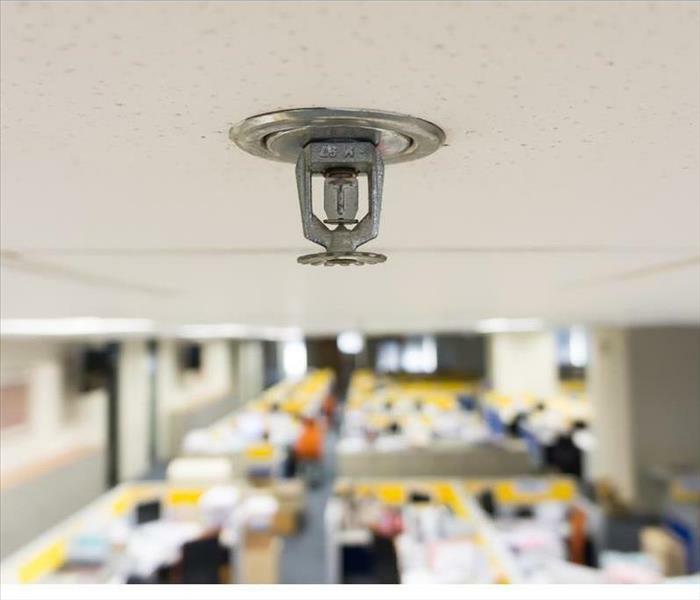 Most fire sprinklers activate upon detecting high temperatures. These extreme temperatures greatly exceed normal interior temperatures and are usually in the range of 135 to 165 degrees Fahrenheit (57 to 74 Celsius). Freezing temperatures can also cause pipes and other components to burst and result in flooding. A burst pipe can release about 30 gallons of water per minute and cause extensive damage in a short amount of time. It is important to monitor the condition of pipes in a fire sprinkler system. Regular inspections and testing can ensure that sprinklers function in the event of fire. Fire sprinkler system specialists can verify that every component is in working order and prevent accidental activations. If a system activates or a pipe bursts and results in flooding, a building owner or manager should have trained professionals from a water damage mitigation and restoration company assess and clean up damage. When a storm brings strong winds and rain, sometimes rain will get pushed up under your roof and cause ceiling damage. If that water damage is not discovered soon enough, mold can grow. When mold grows after water damage, that is called secondary damage. Our team at SERVPRO of Issaquah/North Bend is trained according to IICRC standards. We can safely restore your water damaged home and remove any mold that might have grown. We pride ourselves on being faster to any size disaster because we know how much a difference time can make when it comes to storm damage. We are available 24/7 to assist with water damage emergencies. 4/22/2019 - What Makes Storm Damage Different Than Water Damage? 4/17/2019 - Do you have a personal disaster kit? 4/16/2019 - When is the best time to call a restoration company? 4/16/2019 - What Causes Fire Sprinklers To Malfunction?